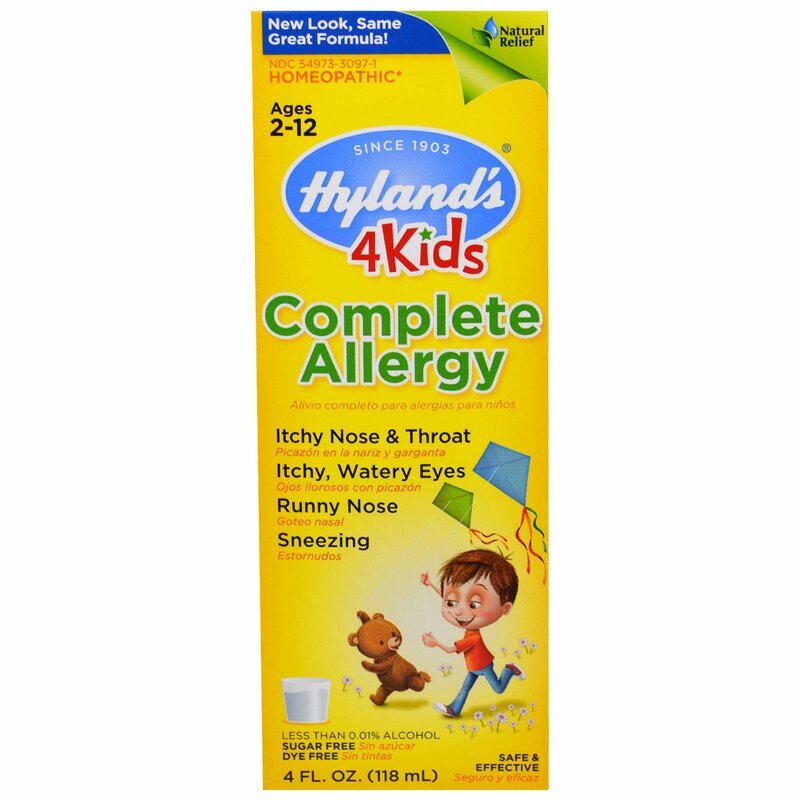 Hyland's 4 Kids Complete Allergy is a non-drowsy formula providing natural relief of indoor and outdoor allergy symptoms in children including sneezing, runny nose, itchy, watery eyes, and itchy nose and throat. 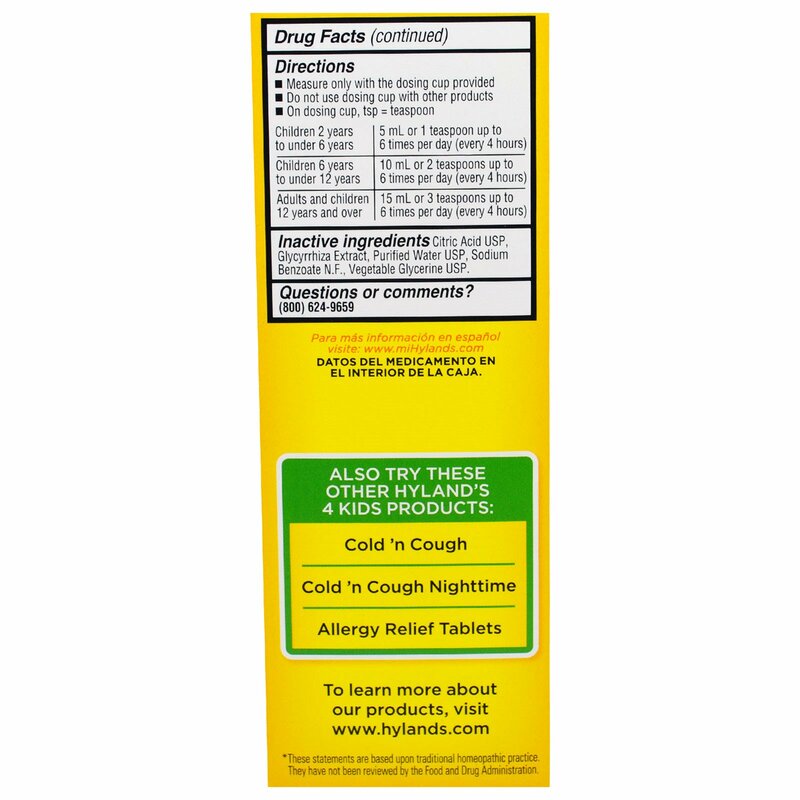 Uses: Temporarily relieves the symptoms of indoor and outdoor allergens including itchy nose and throat, itchy, watery eyes, runny nose, and sneezing. 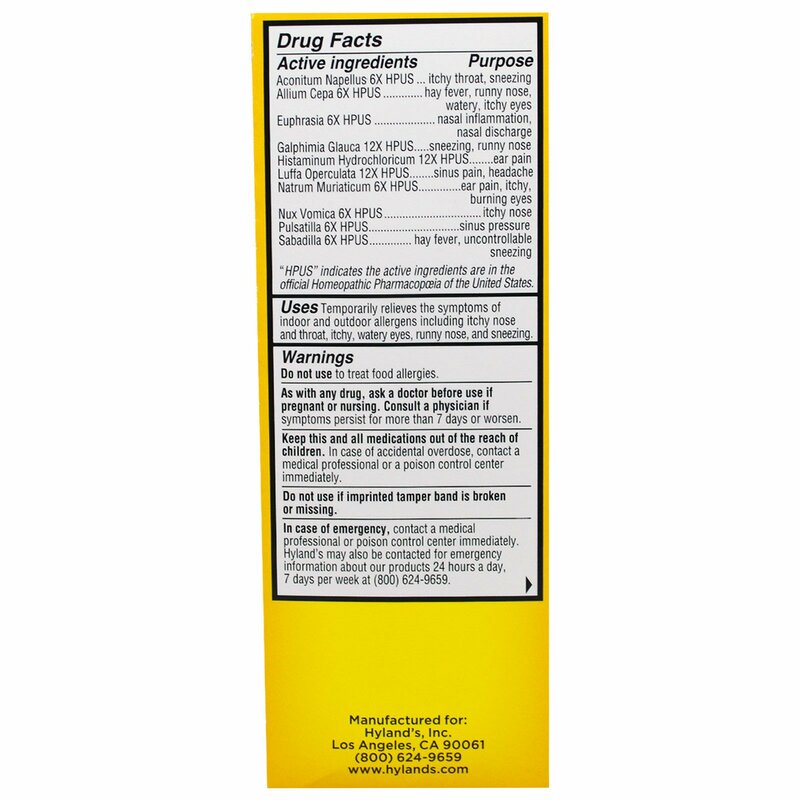 Citric acid USP, glycyrrhiza extract, purified water USP, sodium benzoate N.F., vegetable glycerine USP. 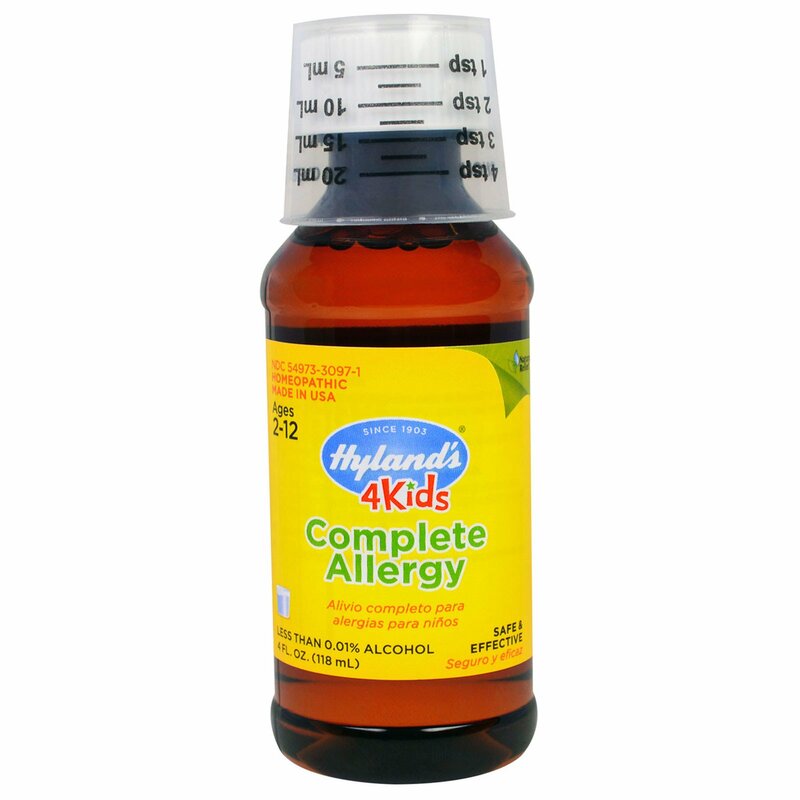 Do not use to treat food allergies.